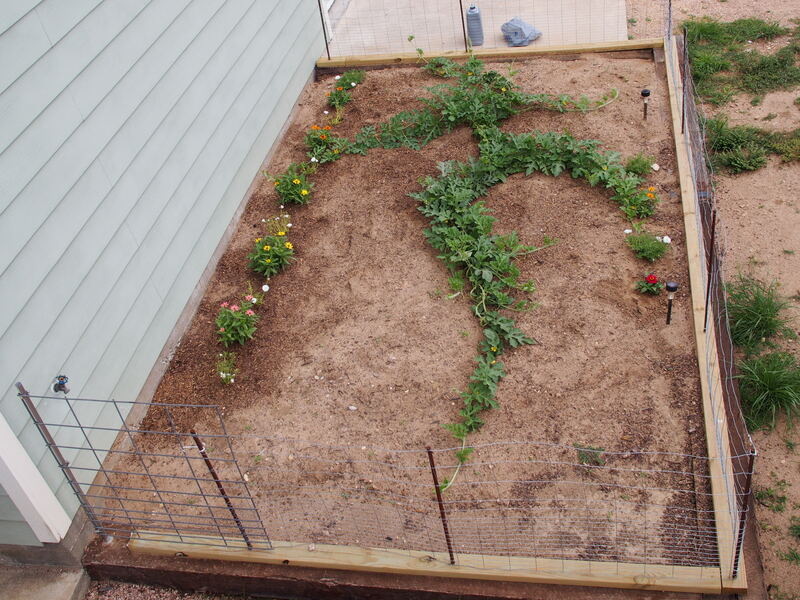 When we put in the vegetable garden this year, we also made an east facing bed for a flower garden. 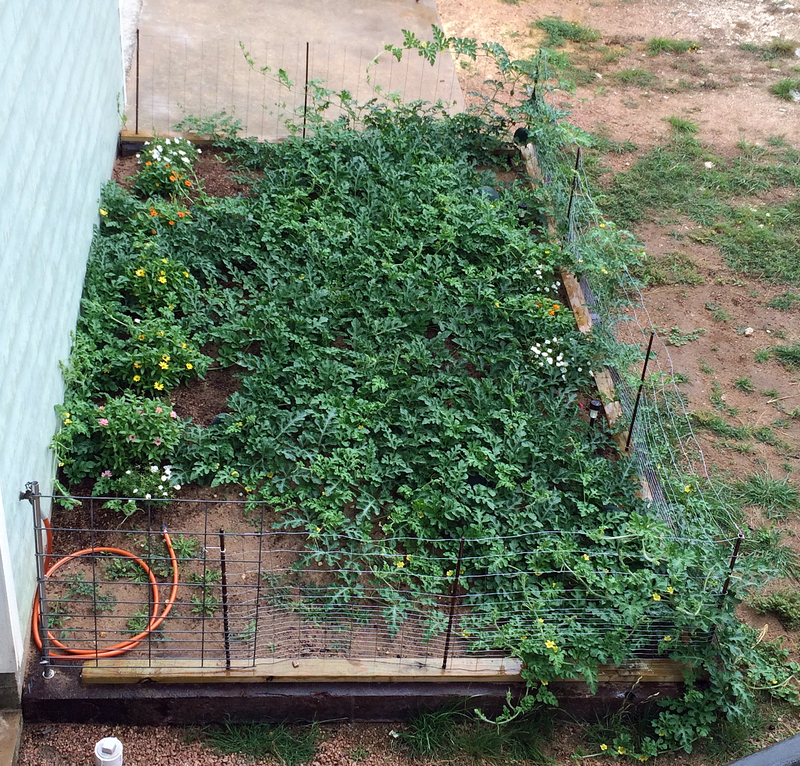 This garden is about 16 feet wide by 9 feet deep. It was too late in the season to start the flowers from seed, so I planted a pot of heirloom sugar baby watermelon vines from Bonnie Plants. They carry this brand at our local home improvement store and I have had good luck with their peppers and tomatoes. The peat pot container had four seedlings in it. 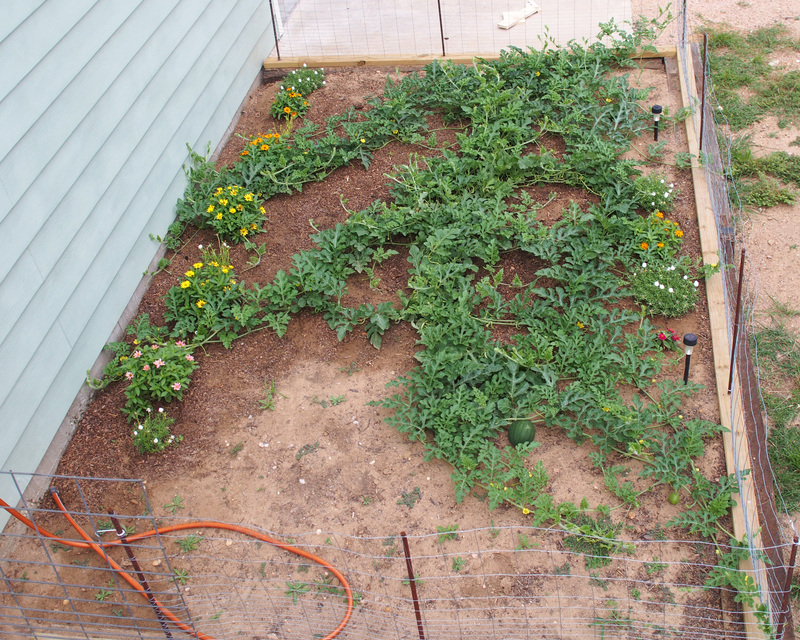 I planted this in the center of the garden and then added zinnias and portulacas along the perimeter. Almost mature watermelon. The skin has gone from bright green to darker dull green. These only grow to 8-10 pounds. 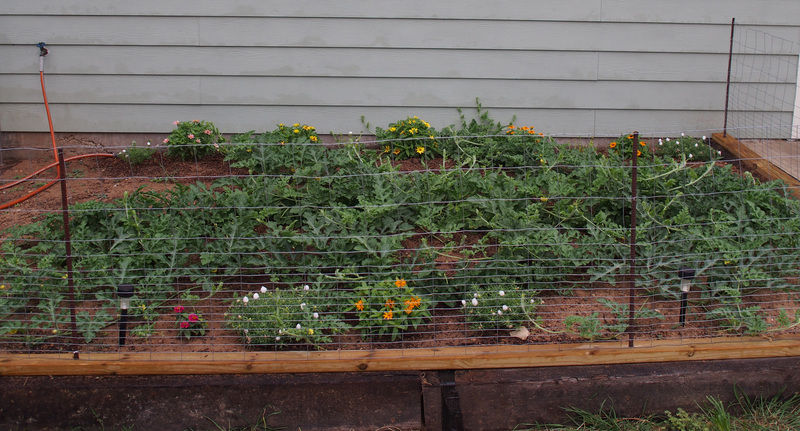 As the watermelons grew, the chickens found them more interesting especially as the watermelon vines ran outside the fence. 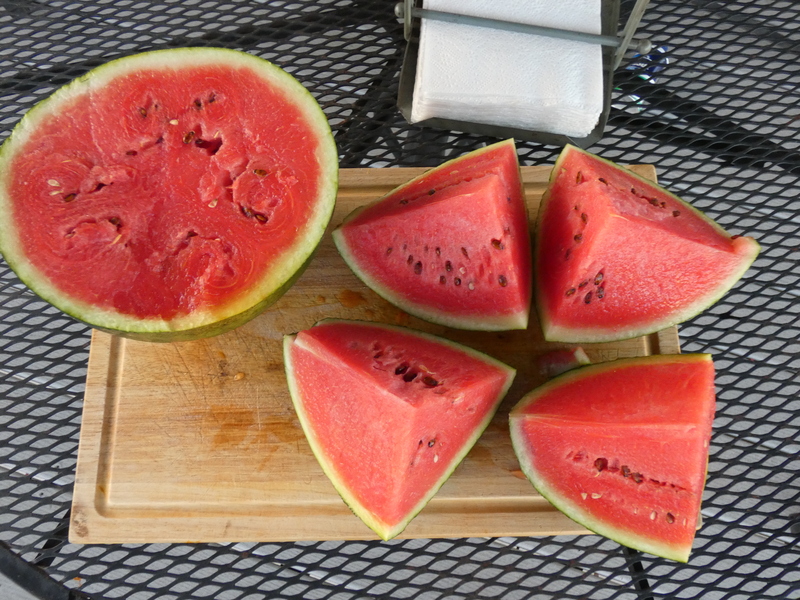 The first melon we picked was not ripe. The little curly tail on the vine was dry but the leaf off the stem next to it wasn’t. 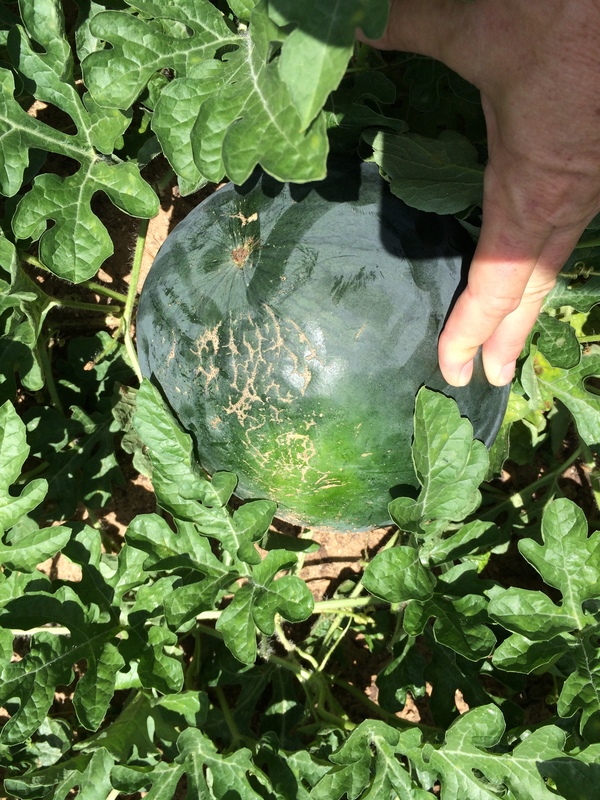 There are all kinds of ways that are supposed to tell you if it is ripe. I think the signs vary with melon variety and other factors. 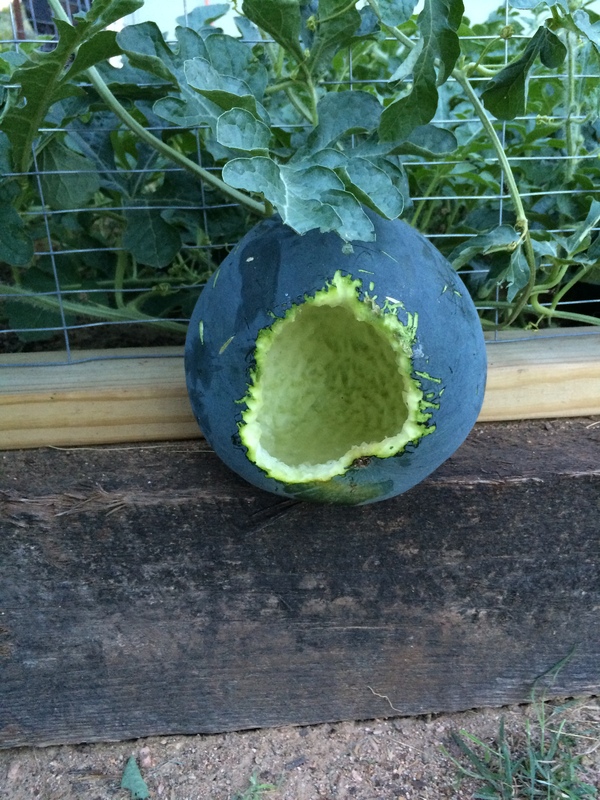 The one below is the only ripe one we have gotten so far. It was very sweet and the texture was good. I think if we had left it any longer it would have had the grainy texture. 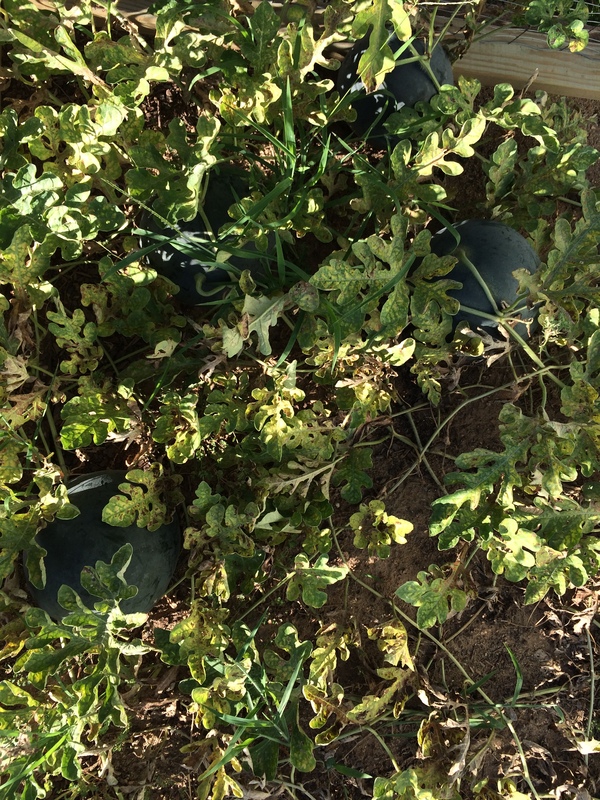 Unfortunately our watermelon patch looks to have a deficiency or a type of viral leaf wilt. 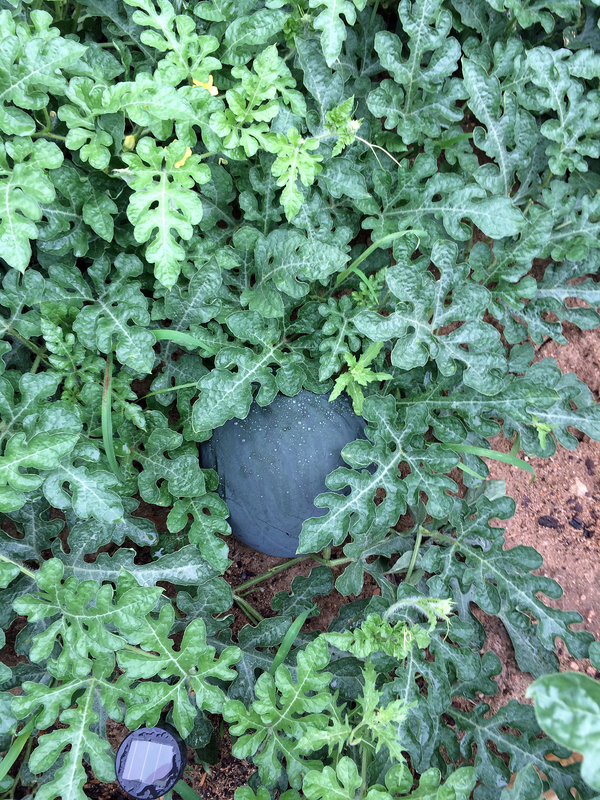 we may not get too many more melons, although there are about 9 good size ones growing at the time of this post. The temperature has also been in the upper 90’s for the last couple of weeks and petty much everything is suffering from the heat. This could be another factor. 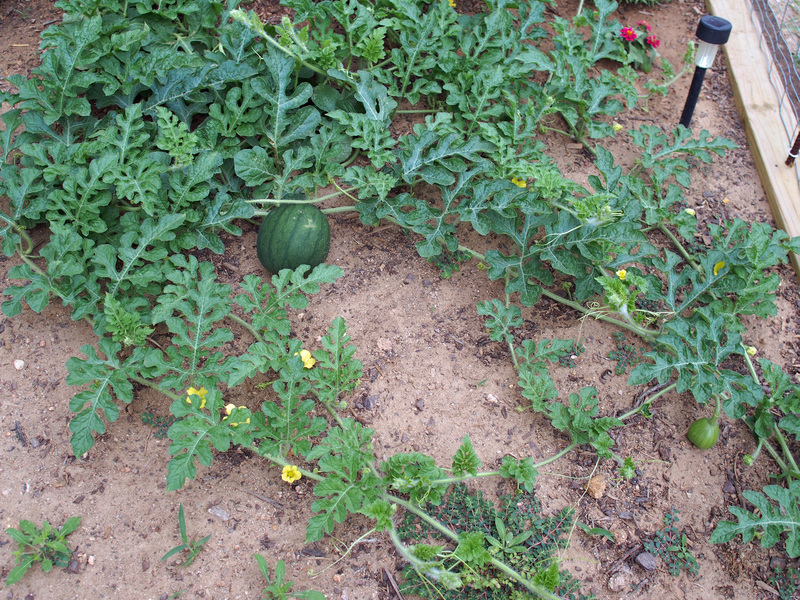 I always grow Sugar Baby watermelons. I think they’re wonderful!